Observation - IMG_1775a - UK and Ireland. Description: These were the next most prevalent wader sp 50+. Did you pick them out? Feeding was frantic, maybe they also knew it was time to top up and go. 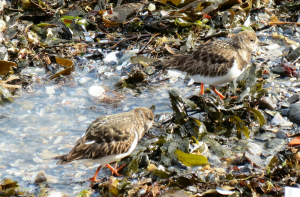 These were the next most prevalent wader sp 50+. Did you pick them out? Feeding was frantic, maybe they also knew it was time to top up and go.